The effects of transplanting time on the growth, yield and quality of flue-cured tobacco in south of Hunan province were studied through a randomized block field experiment. The results showed that transplanting tobacco seedlings on March 7th were the most appropriate among different transplanting time treatments. The growth and development of tobacco plants which were trans-planted on March 7th were better, and the yield and output value were higher. Therefore, the best transplanting time of tobacco in south of Hunan province should be March 7th. 向德恩, 时鹏, 申国明, 等. 不同移栽期对恩施烤烟产量和质量的影响[J]. 中国烟草科学, 2011, 32(z1): 57-60. 陆永恒. 生态条件对烟叶品质影响的研究进展[J]. 中国烟草科学, 2007, 28(3): 43-46. 刘德玉, 李树峰, 罗德华. 等. 不同移栽期对烤烟产量、质量和光合特性的影响[J]. 中国烟草学报, 2007, 13(3): 40-46. 黄建, 张海伟, 卢瑞杰. 赣南烟区不同移栽期对烤烟K326产质量的影响[J]. 江西农业学报, 2014, 26(3): 61-64. 国家技术监督局: 烤烟(GB2635-1992) [S]. 北京: 中国标准出版社, 1992. 卢钊, 王学华, 田峰. 不同移栽期对烤烟生长、产量及经济效益的影响[J]. 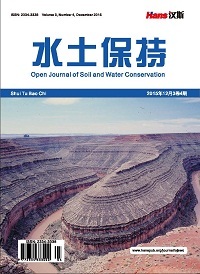 作物研究, 2013, 27(增刊1): 15-17. 林跃平, 周清明, 王业建. 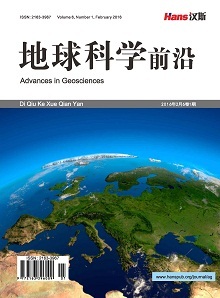 影响烟草生产、产量和品质的因子的研究进展[J]. 作物研究, 2006, 18(5): 490-493.